As discussed when launched with bam!, an optional but major new feature of the Axiom MFDs is support for new RealVision transducers capable of four different CHIRP-assisted sonar modes — all at once if you’d like. That was all working pretty well in Florida. 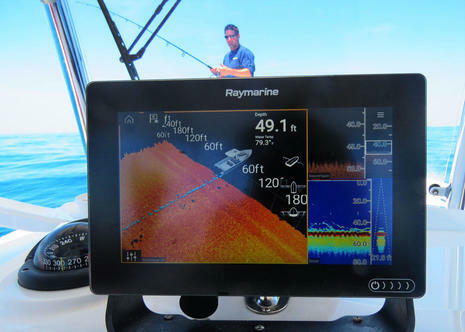 What you’re seeing on the Axiom 9 and 12 displays above are fishfinding, DownVision, and RealVision 3D windows, and while the SideVision window was not visible on either boat at the time, the side looking data is being used to “skin” the 3D model of the bottom while also highlighting targets separate from the bottom, be they fish or turbulence created by the boat. On the Axiom 12 display immediately above, Captain Chris Williams is blasting along beautiful Lake Rousseau at 27 knots, but all three sonar modes are still holding bottom, and I can testify that neither the sonar nor the internal GPS tracking seemed to lag behind the boat’s speed even a bit. Axiom is notably fast in all ways. But you may also notice, perhaps with a shudder, how shallow the channel was, and that’s in a flooded lake full of dangerously shallow trees (the same Navionics map detail here), which did not add up to a good sonar testing situation. In 5 feet of water, no sonar can see much in any direction. Fishing way out in the Gulf of Mexico with Captain TJ Shea (whose seamanship skills already impressed me one night in Naples) was a better opportunity to see the multimodal RealVision in action, though still not ideal, simply because the bottom is so flat out there. Many of the hotspot waypoints that fishermen covet in these waters turn out to be minor bumps that show best in the regular fishfinding mode with its color coding of bottom hardness. 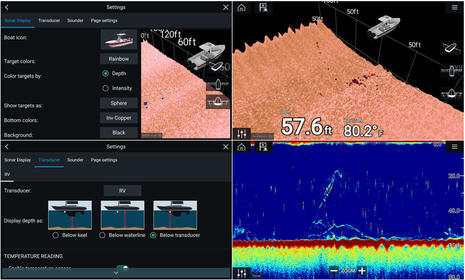 It was impressive, however, that the Axiom 9 color CHIRP fishfinding seen from the RealVision transom transducer on Shea’s Southport 33 mirrored almost exactly what was happening on his big Ray screens with black box sonar processing and a much more expensive transducer (and perhaps it will be better in some situations once the RealVision transducer’s built-in gyro stabilization is enabled). While the Axiom 3D and fishfinding images in the collage above are giving different perspectives on real fish being caught by enthusiastic boating writers, there are many other situations where the 3D, side and down views will have more value, like around this UK wreck. 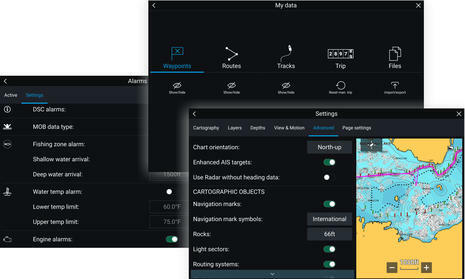 And in those situations I believe that users will be quite pleased with how easily they can set up and tune the sonar imagery using LightHouse 3 interface screens like the two shown. But do not presume that Axiom or LH3 are just about fishing. While I suspect that we’ll soon be seeing more evidence of good fishing performance from the various Axiom displays with built-in sonar processing, that’s only part of the story. For instance, Steve Mitchell just installed a plain Axiom 9 on his Beneteau 311 sailboat and is impressed with many non-sonar aspects of the MFD. Also, owners of most Raymarine MFDs sold in recent years can purportedly look forward to a major software update that will deliver LightHouse 3 interface niceties like the ones Steve illustrates well and like I collaged above. Judging interfaces is subjective, but I’m certainly “getting” LH3 quickly and also loving how often the effect of adjustments can be seen live as you make them. But like other early Axiom owners, Steve is anxious to see LH3 acquire features like the Navionics Dock-to-dock autorouting that came to LH2 R17 last year, and anyone installing Axiom now should be very careful about their expectations. Some currently missing features are noted on the Axiom model pages, and there are also numerous Axiom discussions on the Raymarine support forum, but perhaps the most complete summary is Jim McGowan’s Panbo comment here. 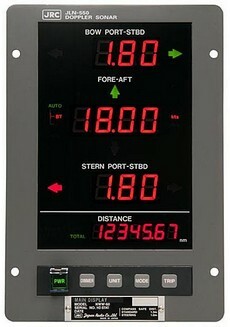 It’s good to look at the rear end of an MFD because that’s where you see the connectivity that largely sets them apart from standard computers, mobiles, and sometimes each other. So there’s the big 25 pin port that handles all those RealVision sonar modes (and is also backward compatible with Ray’s CPT-100 DownVision transducers), and next is an unusual port for an included cable that splits for 12v power and NMEA 2000 networking (with a standard N2K male connector, not a SeaTalkNG “stub” connector). I suspect that the power and N2K functions were combined to make room for that micro USB port that does look like what you may have on your phone (or camera). I haven’t seen detailed documention yet, but it certainly seems to be a versatile USB On-The-Go (OTG) port, which means it can support both “slave” and “master” relationships. In fact, I purchased an OTG adaptor and verified that this Axiom 7 can use either USB memory sticks and SD cards cabled to this port. The official Axiom A80440 Remote Card Reader doesn’t seem available yet, but I trust it will have an outer threaded connector to waterproof the port and it may also include its own USB port. Finally, at left is the RayNet-style Ethernet port that can connect Axioms to various Raymarine radars, sonars, and IP cameras. Axioms can also be networked to each other, but apparently not to older Ray MFDs until the latter can be updated from LightHouse 2 to LH 3. This test unit is the full $1,350 Axiom 7 RV model with the RV-100 transducer and a Navionics Nav+ card for all of the U.S. and Canada, but the base model without sonar and only U.S. NOAA vector charts is $650. I’ve already seen the Axiom display an older set of LightHouse NOAA raster charts, but I’m not sure it can work yet with the $10 regions available at the Raymarine Chart Store. 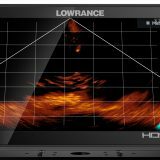 Also, I wouldn’t hesitate a second to spend an extra $50 for the 8 gigabyte Navionics card which comes preloaded with all those charts (and many lake maps) and still had room to add SonarCharts and Community Edits from Maine to South Carolina. 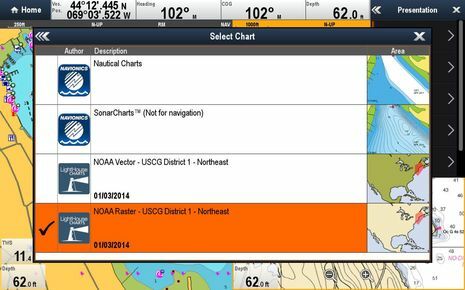 It was also easy to update all those charts with the online Navionics app and the card includes a year of updating. I do hope that LightHouse 3 will eventually work with C-Map charts like LH2 does — particularly the 4D Max+ chart bundles that include a raster layer for most countries — but let’s acknowledge that a lot of software coding is involved when you’re pretty much starting from scratch with a new base operating system (Android), which apparently is the Axiom/LH3 situation. 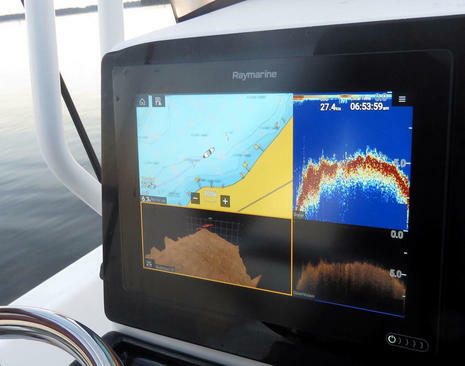 Also, a word on Axiom prices: Like some other marine electronics companies — it’s looking like a trend — Raymarine seems to have adopted minimum pricing, which is different from manufacturer’s suggested retail pricing or even minimum advertised pricing. It’s Apple-like what-you-see-is-what-you-get pricing. So while Axiom prices look like a good value to me, you should not mentally knock off a chunk of change you think you’ll see as a discount from some sources. 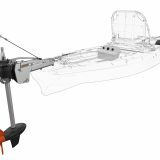 For instance, the Axiom 7 prices listed at Raymarine are the same prices you’ll see in a Defender shopping cart. I tentatively view this as a good trend that encourages quality distribution but I may not understand all its ramifications. I was (unreasonably) hoping that in this faster-better-cheaper tech world the Axiom GPS would locate itself for the first time on the photo table deep in my basement shop, but it did only take a minute or so just outside. And look at all the GMDSS satellite systems it can use, as well as the sort of well explained and illustrated settings screen I keep happily finding in LH3. Also impressive is the Axiom surface mount scheme. If you look at the backside photo above you’ll see four allen head bolts that allow the whole outer shell to slip off. Then you attach the four brass studs, place the Axiom in the right size whole, and the shell becomes a strong all-away-around-back clamp with no surface screws penetrating the glass face, plus no screw covers to lose or a thin removable bezel to break. Before replacing the aSeries WiFi a78 (with the silver removable bezel I painted black in search of the glass bridge look), I took these comparison shots. 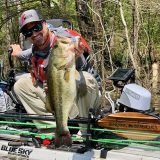 The Axiom 7 model with DV sonar and transducer is directly comparable, yet a noticably better build with a lot more horsepower at a similar price. And using a touch interface is a lot easier when your fingers don’t jam against the edges of the screen, and also when it responds much faster. The Axiom 7 cut out is slightly smaller than the a78’s, but I disguised the difference fairly well with some thin black PVC sheet. I also temporarily hooked up a Cam220 IP dome camera largely to see if it would work cabled directly to the Axiom’s RayNet port instead of to the RayNet switch that both will eventually network to along with the eS12 on the flybridge. It did, without any setup on my part, and notice how I can turn the streaming video into a snaphot (like below) or a video recording. I can also give the camera a custom name and icon and, most impressively, run at least three more IP cameras on the network. I’ve got a lot more testing to do, but it seems like the case can be made that the Axiom series as is right now would make a heck of a camera network with a good chartplotter and radar display thrown in, and lots more very likely to come. 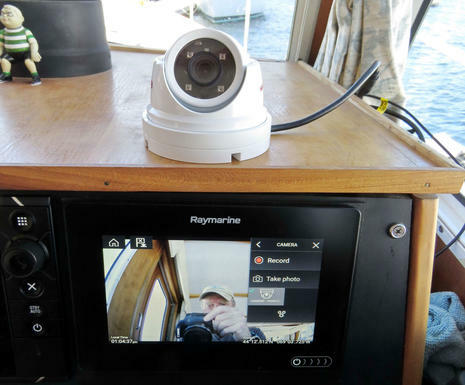 Ben – since you have a Cam 220 camera on your boat, would you be able to let me know if it is able to work with Garmin’s marine network? If I plug one of these into such a network, would it show up on the Garmin screen as an available camera feed? Hi Evan, I’m way behind with installs and testing but maybe can try that eventually. I believe that both Garmin and Raymarine use the IP camera standard Onvif to some degree, but have also heard that there are devils in the Onvif details. I am using a little Raymarine supplied POE injector box in the install above, but Ray does not require an additional POE isolation coupler like Garmin does (or maybe did?). One thing that would be neat to see on “Axiom Pro” MFDs or a n updated RayNet switch is multiple POE RayNet ports so single cable networked cams would attach direct. I believe that NMEA OneNet — which really is going to happen, I hear — includes this capability as a standard. 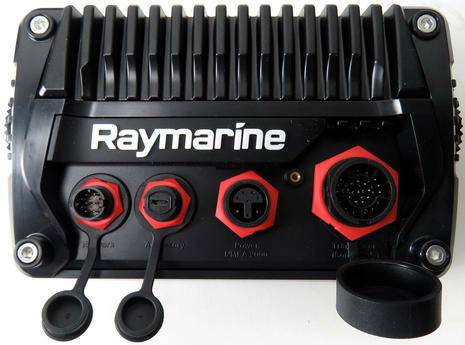 What’s up with Raymarine going with the standard N2K connector? 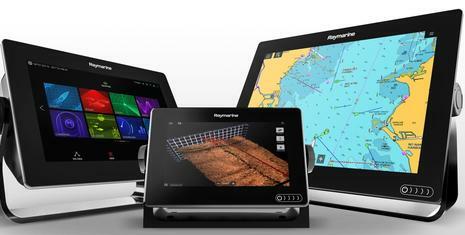 Is Raymarine abandoning SeaTalk NG? 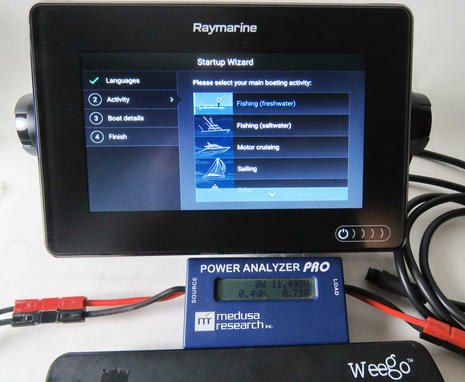 Paul, I think that Raymarine supports both their own SeaTalkNG connector/cable system and the standard N2K connector/cable system (while the data and 12v power doesn’t know the difference). For a while now their MFDs have shipped with a short adaptor cable so the installer could go from the STng port to micro N2K male easily. But in this case where they’re supplying the cable, a regular N2K connector made more sense because it’s harder to extend an STng spur cable. You can still install an Axiom on a STng cable system, but you’ll need an STng to micro N2K female adaptor cable and maybe a length of standard N2K cable to cover the distance from adaptor cable N2K end to Axiom cable end. One thing which suprised me with the Axiom displays is the lack of 1kW chirp sounder built in. Garmin and now Simrad both have dual frequency 1kW chirp – so it’s suprising Ray have not caught up? Perhaps in the Pro models you mentioned? Your statement about the cover of “it will take a hurricane to dislodge this new cover design. However, it only works if the Axiom is installed in its included bracket mount.” is half true. I’ve installed six of these now. 1 on a bracket mount, and five in a dash. 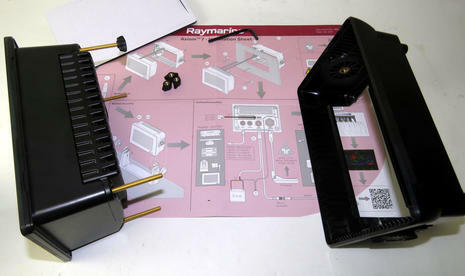 Raymarine includes a foam spacer/gasket, and if you don’t over tighten when flush mounting you can get the cover on and the tabs will engage behind the screen. I wouldn’t trailer with it on, but it will be fine on a boat sitting at the dock. And you’re right, the cover is well secured once clipped in place. ive had success with “dahua”brand IP dome camera using above config. 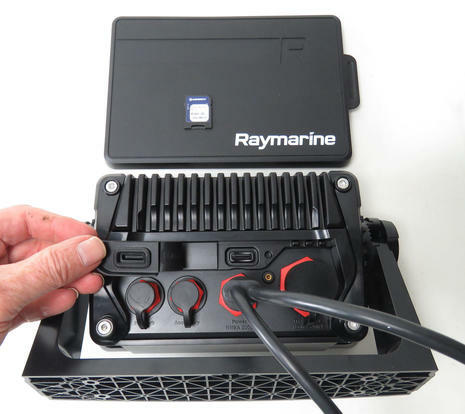 also a caution on the RV cable/connector..
its “quite large”.. and whilst raymarine have done an admiral job of minimising its size to pull thru ducts/holes by having a removable locking collar .. its still a largish connector that DOES take up space and grab cables …. retrofit as i discovered takes a lot of care (& patience) when pulling the RV cable thru longish cable ducts! 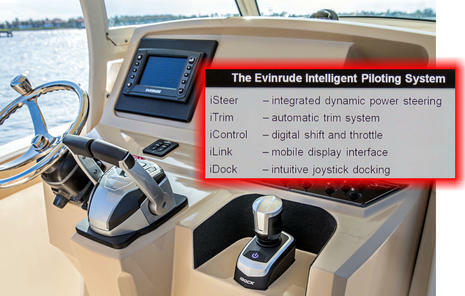 ref navionics updates … and the rear mounted SD card slot. is to remove my dashboard to get to rear of axiom and remove map SD card and update in PC & then reinstall in axiom & refit dashboard … NOT so friendly . I also meant to say that I saw the new FLIR M200 thermal camera demonstrated on the water in Miami and was really impressed with the “ClearCruise intelligent thermal analytics technology” that is unique to Axiom and LH3 because it’s largely done in the MFD. It was amazing how quickly and reliably it visually high identified solid objects in the water, even mooring balls, while ignoring moving water and fixed shore objects. I just received one for testing and hope to have it installed soon. the photos of Raymarine IP CAM220 (which is undoubtably OEMd from a chinse CCTV mfr anyway) . …. and it cost me 1/6 (yes i can replace it 6 times for same price as the raymarine RRP). … i also used juidicous sika application around base to get waterproofing . it is IR capable, and i was pleasantly suprised by how well it illuminates my cockpit/swimplatform and nearby water at rear of boat with zero ambient lighting. 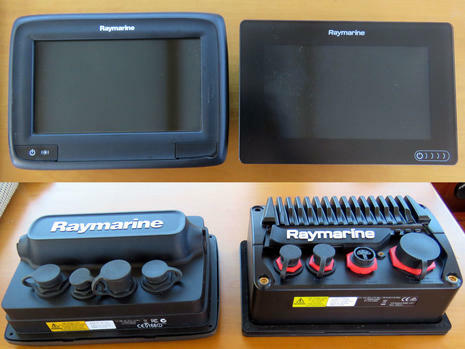 Raymarine do sell a different sun cover for surface mount options for Axiom. 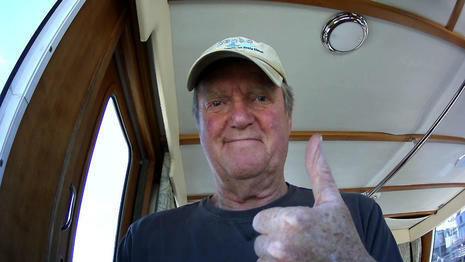 In fact, the adaptor is working fine on Gizmo right now (which meant I got to remove and return the CP100 Sonar Module). Plus the Axiom 7 is now also working fine with the Quantum radar and an M200 FLIR pan and zoom thermal camera (plus the Cam220 IP shown above) all via the already installed Ray network switch.